Popular Westlake Richmond model. U-shaped ranch with huge basement. Large cul-de-sac lot loaded with perennials. Custom made shed divided in two, one side for lawn equipment and one for gardener. Complete tear off of shingles and NEW roof. Full basement with cedar closet. Replaced windows on main level.Beautiful prairie glass windows and doors in living room and dining room. Remodeled kitchen with honey-cherry cabinets. Some cabinets have glass inserts, slide out drawers and some cabinets with all drawers. Large eating area. NEW stainless stove. Hardwood flooring in foyer, kitchen, living room and dining room. Master bedroom is huge with his/her closets with professionally installed closet organizers. NEW furnace 2018. Freshly painted throughout. NEW carpeting in first floor bedrooms and family room. Full wall stone fireplace w/gas starter in family room. Dillon recreation pool and clubhouse. 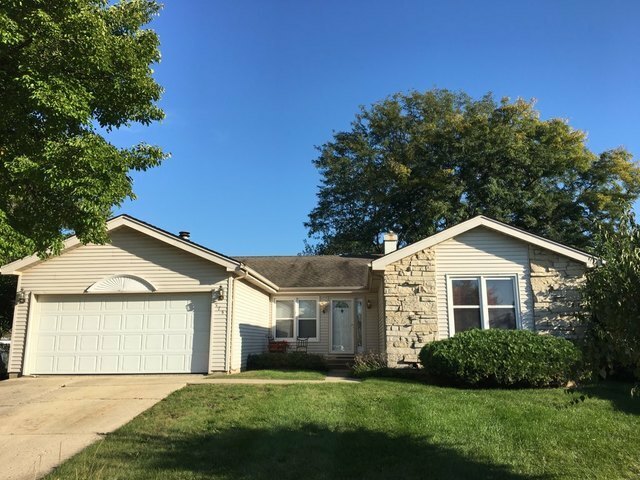 Seller is Licensed Real Estate agent in Illinois.